You can never have too many main course recipes, so give What to make for dinner tonight?? Bruschetta Style Pork & Pastan a try. For $1.45 per serving, this recipe covers 22% of your daily requirements of vitamins and minerals. This recipe makes 5 servings with 521 calories, 35g of protein, and 10g of fat each. 163 people have tried and liked this recipe. 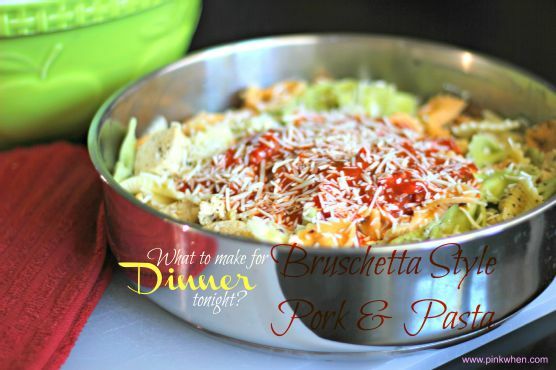 If you have bow tie pasta, pork chops, recipe makers chicken bruschetta pasta, and a few other ingredients on hand, you can make it. To use up the pasta you could follow this main course with the Chocolate Dessert Pasta as a dessert. This recipe is typical of Mediterranean cuisine. From preparation to the plate, this recipe takes around 35 minutes. All things considered, we decided this recipe deserves a spoonacular score of 90%. This score is awesome.  Try Dinner Tonight: Grilled Romesco-Style Pork, Dinner Tonight: Chickpea Bruschetta, and Dinner Tonight: Pasta with Pork Loin, Chinese Eggplant, Baby Bok Choy, and Spicy Miso Sauce for similar recipes. Italian works really well with Verdicchio, Chianti, and Trebbiano. Italians know food and they know wine. Trebbiano and Verdicchio are Italian white wines that pair well with fish and white meat, while Chianti is a great Italian red for heavier, bolder dishes. The Cecchi Chianti Classico Riserva di Famiglia with a 4.1 out of 5 star rating seems like a good match. It costs about 27 dollars per bottle. 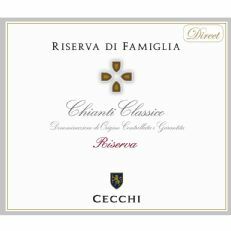 Chianti Classico Riserva di Famiglia is certainly the most representative wine of Cecchi. Produced only in years in which the grapes reach the quality desired it comes from the area of Castellina in Chianti. The color of excellent limpidity is of an intense ruby red. The aroma reveals broad and ethereal notes of ripe fruit and spices. The structure is elegant.